Amazon is all set to invest Rs. 375 crore in Bank Bazaar, a financial services portal. Amazon is all set to invest Rs. 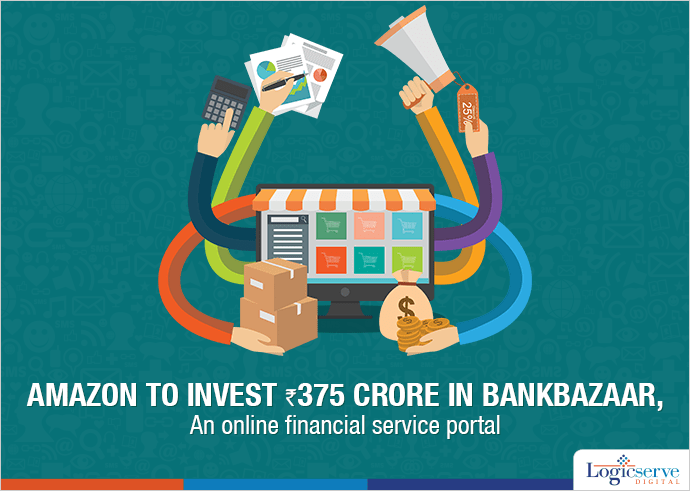 375 crore in Bank Bazaar, a financial services portal. This being its second investment after it picked up a minority stake in QwikCilver Solutions, a gift card technology and retail firm. Apart from Amazon, Fidelity Growth Partners and Mousse Partners also participated in the funding round. BankBazaar is likely to use these funds to enhance its technology integration, hiring and strengthening partner relationships whilst boosting marketing and branding efforts. Also, BankBazaar is keen to invest in mobile application platform which is available on Android and iOS platform. Weekend Digital Media Round-up: Google AdWords’ testing automated ad suggestions, WhatsApp’s new business tools, LinkedIn’s new ad network and more.. Weekend Digital Media Round-up: Google’s new knowledge panel, Twitter’s 280-character limit, PayPal’s official launch in India and more..